With a growing presence in Africa, WGSN today announced the launch of their Cape Town Africa head office located at the contemporary space, Ideas Cartel. Pictured is WGSN Regional Director for Africa, Hannari Slabbert at the Cape Town office space. WGSN, which was founded 18 years ago, has 14 offices globally and has already been operational in Africa for the past ten years with over 70 clients, including leading retailers and suppliers in South Africa. As part of the unveiling of the new Cape Town office, WGSN will host an exclusive VIP engagement with key industry players in Cape Town on 18 April. 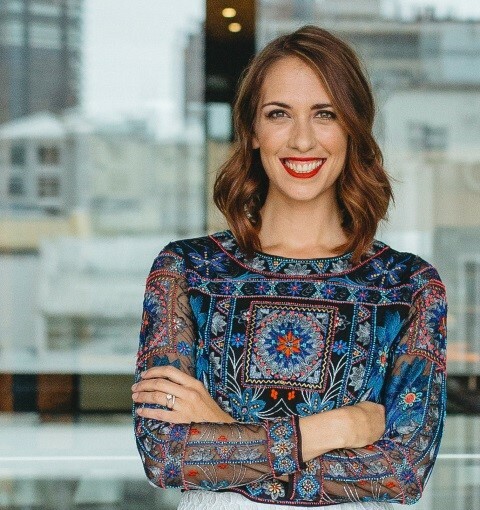 Their African clients can look forward to expert advice when Head of Fashion at WGSN, Catriona Macnab makes her weeklong roadshow in Cape Town, Durban and Johannesburg for an inside look at seasonal trends. Macnab, an esteemed creative forecaster based in London, has been part of the WGSN team for twelve years and together with her team provide fashion and design companies with exclusive trend advice regarding colour, fabric and style. A series of trend seminars across Africa will also be hosted this year. When it comes to fashion and creativity trends, WGSN is leading the pack. The global trend authority provides fashion and lifestyle forecasting, data analytics and expert consultation to their broad client database all across the globe. WGSN is relied upon by more than 6,000 clients, including 95% of Fortune 500 apparel companies, as well as some of the world’s most creative and innovative businesses from multinational brands to independent designers. In May 2015*, it was reported that sub-Saharan Africa’s apparel and footwear market was worth $31 billion, making WGSN’s entry into the continent a logical one as it increases its foothold in a growing market. With WGSN’s official launch into Africa, fashion houses, retailers and buyers will be able to stay on trend in a rapidly changing industry. WGSN’s experts provide deep insight and analysis of consumer, fashion and designer trends, to ultimately assist clients with their planning. The trend authority will offer their full range of services to those operating in the fashion and creative space in Africa. These cover online trend services for fashion, lifestyle and interiors; retail data analytics; crowd-sourcing design validation; and expert consulting. WGSN (www.wgsn.com) is the world’s leading trend authority, serving fashion and creative-led companies in over 86 countries. Our services cover fashion and lifestyle forecasting, data analytics, crowd-sourced design validation and expert consulting. We help drive our customers to greater success. Together, we Create Tomorrow. WGSN is part of WGSN Limited, comprising of market-leading products including WGSN Instock, WGSN Lifestyle & Interiors, WGSN Styletrial and WGSN Mindset our bespoke consultancy services. WGSN is owned by Ascential plc, a leading international media company that informs and connects business professionals in 150 countries through market-leading Exhibitions and Festivals, and Information Services.